SBRS Gurukul school conducted a scholarship test for the brilliant students. T was a moment of delight for the parents who don’t afford to send their wards to the premier CBSE school. SBRS Gurukul organised a farewell party for the 12th class students. 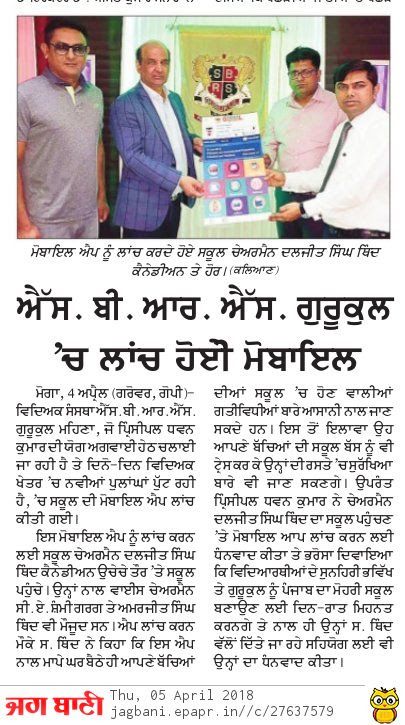 Students presented cultural programme on the eve and in the various competitions, Anureet Singh was selected as Mr Gurukul and Ekjot Kaur was declared as Miss Gurukul. SBRS Gurukul school, is a awarded as the Best school in the region by Brainsfeed Magazine, Hyderabad. 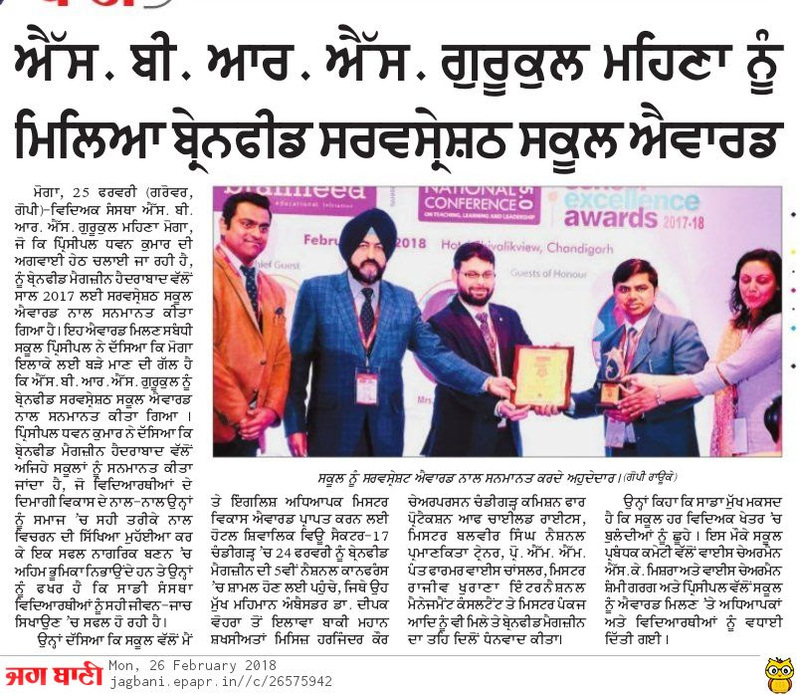 Honourable Principal Mr Dhawan Kumar addressed on the occasion and said it is constant endeavour to touch new heights in the area of education by providing the world class facilities to the students of Moga region. 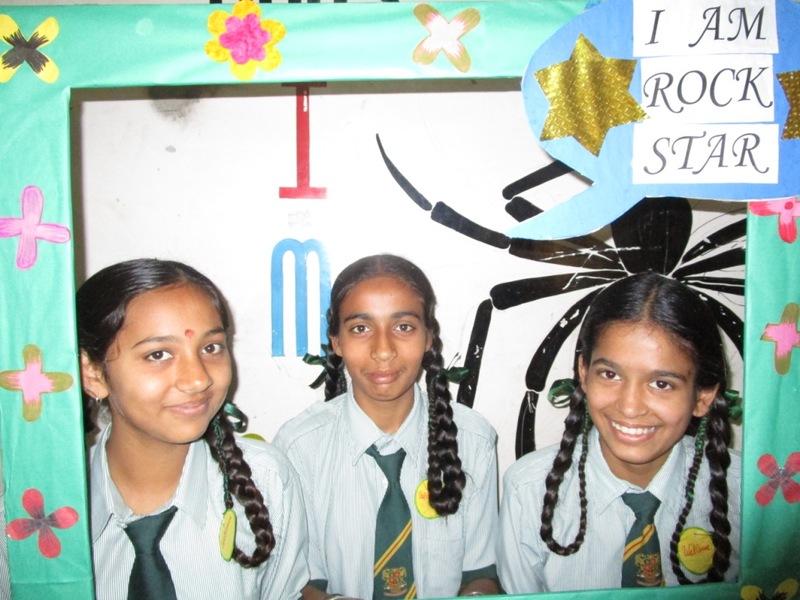 SBRS Gurukul, a renowned educational institute, celebrated the spring season with great enthusiasm. People gathered from far and wide just to enjoy the carnival. Indradhanush- The Colours of Life. 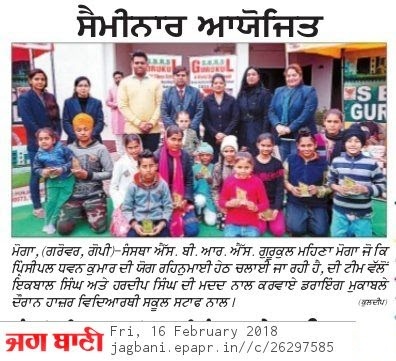 Member Legislative assembly Dr Harjot Kamal were invited to make their benign presence and to shown his blessings upon the students. Principal Dr Dhawan Kumar and Management committee including CA Mr. Shammi Garg and Dr. S.K. Mishra welcomed all the guest and thanked everyone to make this event a memorable one. 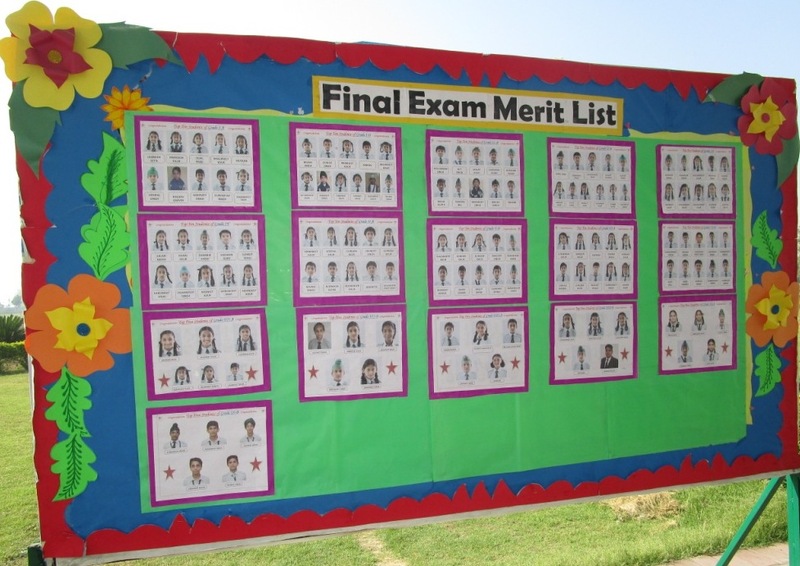 Session 2017-18 Final merit list. Pics of Best Day Ever at Gurukul!! !